The world prog fans shed tears when BLACK BONZO anounced their demise back in 2009. Most of them got their revival when GIN LADY rose from the ashes of BLACK BONZO, containing most members of BLACK BONZO. 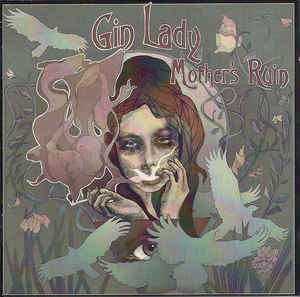 GIN LADY released their self titled debut back in 2012, and the reviwes were far better than fabolous ! Taking a step back towards the classic rock sounds, but still maintaining the unique sound of BLACK BONZO, one could not ask for a better debut album. Keeping the productive interest of creating new music GIN LADY now strikes back, attacking in full scale ! Not giving us a ordinary 40 minute album, but a album, clocking in on more close to 70 minutes, we get the GIN LADY fever again !! Categories: CD-Distribution, DISTRIBUTION, DISTRO STORE. Tags: Hard Rock, Prog Rock, Transubstance Records.